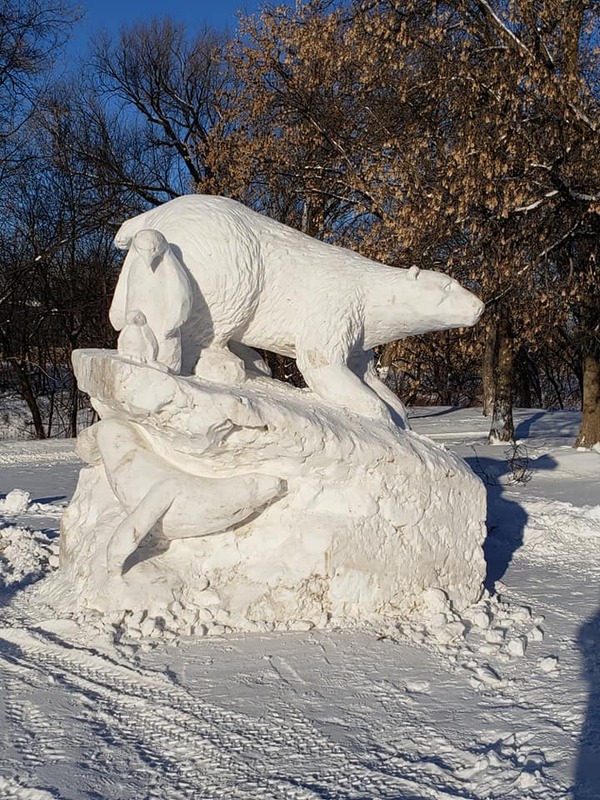 The 3rd Annual MBA Snow Sculpture Competition was held last weekend with entries in 2 categories- Master and Community. Master Sculptures began their creation of the Winter’s Tale theme the first of the week and spent many hours to finish their sculptures by noon January 26. The cold temperatures did not stop them. 2019 Committee : Jeff with JAQ’s Garage, Kim with Kvamme Real Estate Inc, David Swenson with NDSU, Kim with Moorhead Parks & Recreation, Ethan with CVB Frostival and Sheri Larson with MBA. Thank you sponsors: Choice Bank, Personal Touch, Games To Go , Bell Bank, Cable One, Axis Clinicals, Scheels Moorhead, D-S Beverages, JAQ’s Garage, FRS Works, Prairie Supply Inc, and Moorhead Parks & Recreation. 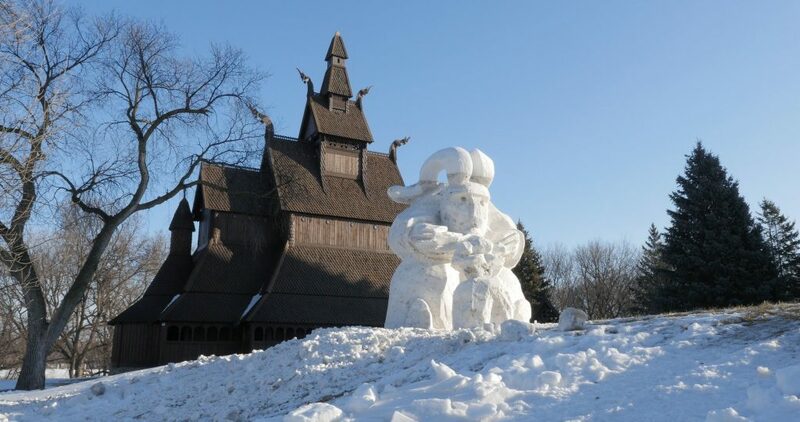 Thanks to the community that came out on Saturday to take part in the 2019 Frostival Frozen Fortress events at Viking Ship Park. To hear the laughter of KIDS of all ages coming down the Homecoming slide – thanks to Mark Hilde and the Moorhead Parks staff, the smell of the bonfires and the families enjoying the Snow Sculptures. The sculptures will last as long as the cold does. View them at Viking Ship Park behind the Hjemkomst on 1st Ave North Moorhead.